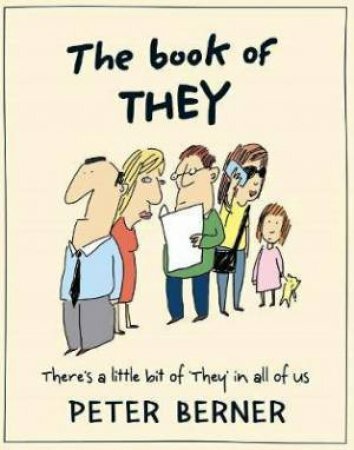 The Book of They is brought to you by comedian Peter Berner. Author/illustrator of The Book of He, Peter has delighted thousands of readers with his signature style of skewed imagination wrapped in absurdist humour. His sequel, The Book of They, contains 80 illustrations and delivers an entertaining take on relationships and coupledom. What more fertile ground could there be for humour? And this time, everyone gets a serve! Unlike his first book, The Book of They features both male and female characters, appealing to a wider audience range. In terms of format and presentation, The Book of They is a replica of the first, with 80 delightful illustrations around a theme, and perfectly pitched as a gift - small format, cased & jacketed and $16.99.